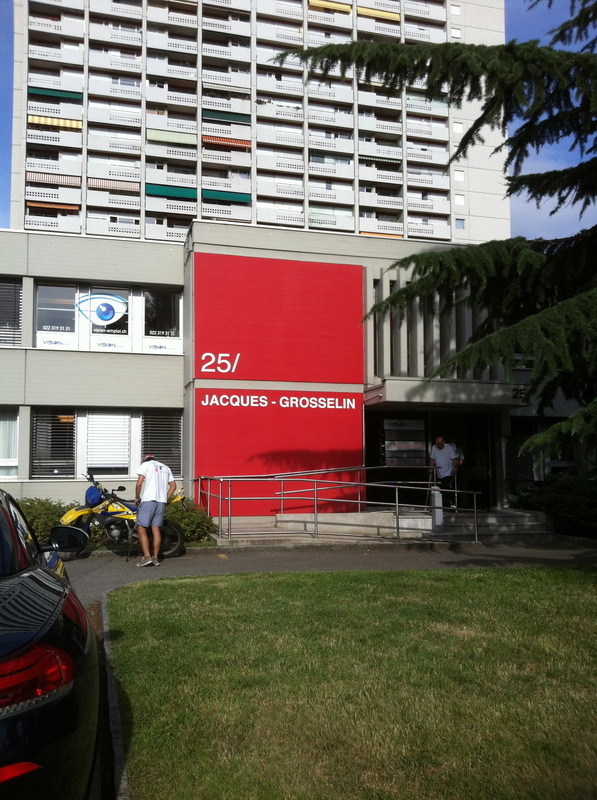 For those not familiar with the Geneva area, the office is located in the center of Carouge, near the M-Parc Commercial Center, across the street from the Migros Vibert and next to the Tours de Carouge, a series of high rise buildings that are easy landmarks. There is very easy access via the Autoroute, sortie La Praille and Carouge, take a right at the rond point onto Avenue Vibert, and enter the parking area at the next rond point. Free parking is available at the Migros about 100 meters from the office. We are directly across the street from the Tip Top Furniture store near intersection of rue Blavignac and rue Jacques-Grosselin. There is easy TPG & Tram access via Trams 12 and 18 from downtown Geneva (stop at Place du Marché in Carouge and walk 5 minutes in direction of the Church, past the Post Office and in the direction of the Migros Vibert). Several major TPG Bus lines stop within 100 meters of the office at the TPG stop TOURS DE CAROUGE: Bus 21 from Gare des Eaux Vives, Champel, Cressy and Onex, Buses 11 and 22 from the United Nations, Servette, Charmilles, Jonction and Acacias and Buses 41, 42, 44 and 45 from outlying areas such as Plan-les-Ouates, Veyrier, Thônex, Croix-de-Rozon and Bardonnex.